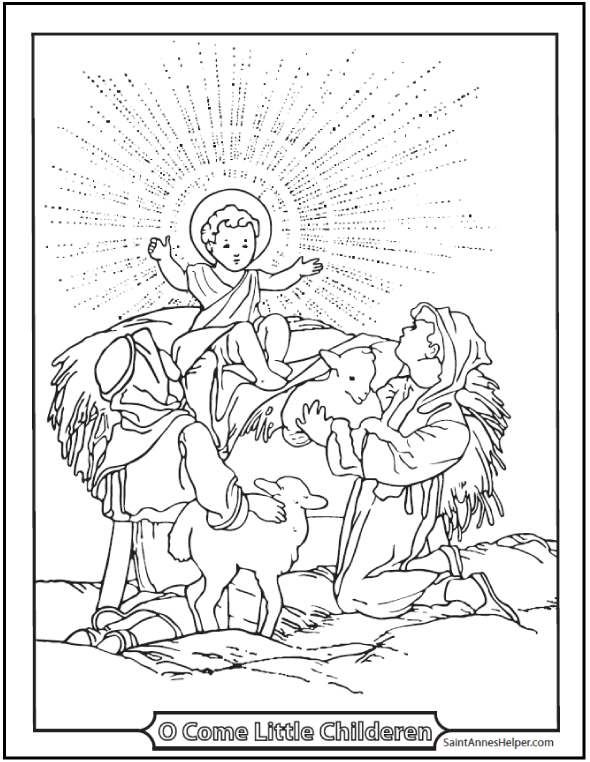 The shepherds adore Jesus in this Christmas coloring page. Darling picture of Baby Jesus with shepherd children and lambs. It's His birthday, and His glory is shining for the humble shepherds with their sweet lambs. 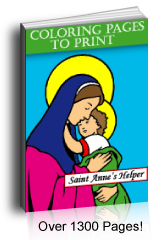 Print this darling Baby Jesus Christmas coloring page.